Frets on Fire is a free and open source game for Windows, Mac and Linux Introduction to Linux Gaming Introduction to Linux Gaming Read More that comes with the goal of picking up your keyboard and trying to rock out just like the first guys on the keytar. Frets on Fire will definitely remind you of Guitar Hero, because the gameplay is very similar. 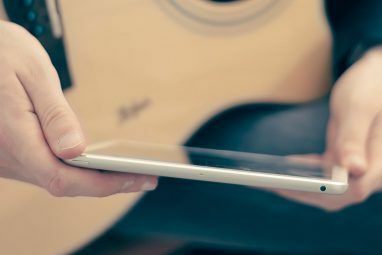 If you have always wanted to test out the new music games, but didn’t have the cash, read on to find out how you can still rock out in style. As mentioned above, the gameplay is almost identical to that of Guitar Hero or Rock Band. You have five different colored markers that come towards you on the screen. You must match your button mashes to the incoming markers in order to score points. 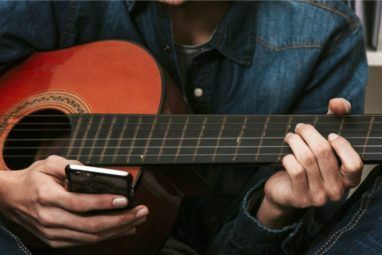 Frets on Fire uses the familiar formula of “strumming” the guitar while pressing the proper “fret.” “Strumming” or “picking” can be done by hitting the Enter or Shift key, and the frets are F1 through F5 keys. The ‘Frets on Fire’ mascot at the beginning of the post shows the proper stance and position of the keyboard to give you the best opportunity to rock. However, I’m on a laptop, so I’m not quite sure how to hold it. The screenshot above shows you really how close to other music games this is, and I must say that it performs just as well. It is possible to also use a joystick with Frets on Fire. I’m sure some of you just said, “Why would we want to do that?” That is a valid question, but the ability to use a joystick translates into the ability to use an Xbox 360 guitar. It isn’t quite as easy as just plugging it into your USB port, but there are several guides up on fan sites and forums that discuss how to get that USB Xbox 360 controller to work with Frets on Fire. The basic game only comes with three songs, which is disappointing until you realize the amazing community that supports this game. Keyboards on Fire and Frets on Fire Fan Forum are the first two places you should go after you download Frets on Fire. There is a wealth of information on these sites from tutorials and troubleshooting to new songs and downloads. You can also find other fan and support sites from the Frets on Fire homepage. The lack of initial songs is made up for by the ability to create your own songs and upload them. 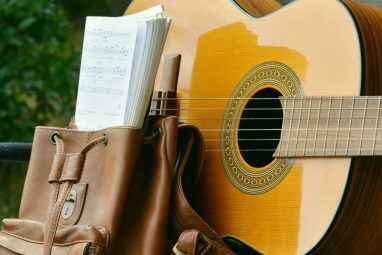 If you aren’t amazing at composing, there are several people that are, and many unique and custom songs can be found on the fan sites mentioned above. In addition to original compositions, you can upload just about all of the songs from any Guitar Hero game. You might also want to search around the internet for song packs. I’m sure you will find that lots of your favorite songs have been turned into Frets on Fire tracks. A game is not complete without being able to tell everyone on the internet how much better you are than them. World Charts is the place you go to upload all of your high scores. It awards medals for the best shredding on each song, so get out there and start claiming all those medals just like you won the Olympics. (By) Kyle Judkins is a 24 year old marketer and part-time tech blogger. He is the author of LostInTechnology where he talks about technology tips and tricks that everyone can use. Check out Fofix, it's a highly modded versions and it's even better :D Still open source and multiplatform too. u can also use wiimote & nunchuck! Thanks for the tip, cool game. FoF is great. For the record I got the wireless PS3 Guitar Hero controllers to work straight out of the box. They detect as a Logitech control pad under windows and just need to be mapped in game. Great game. I discover it when I was searching for an alternative of Guitar Hero and man, I rather play FoF than GH.